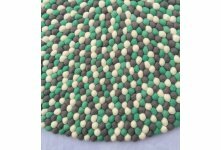 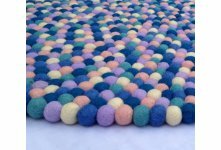 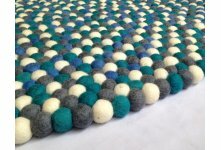 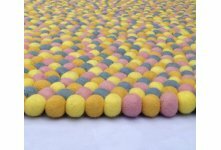 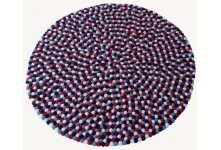 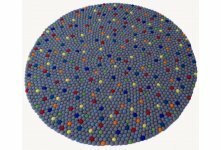 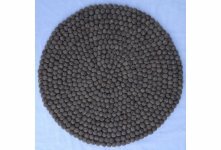 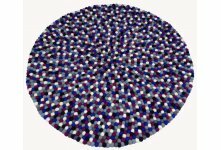 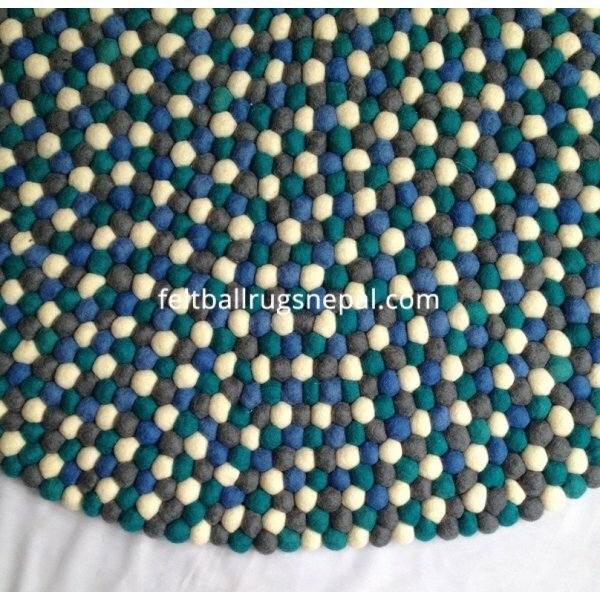 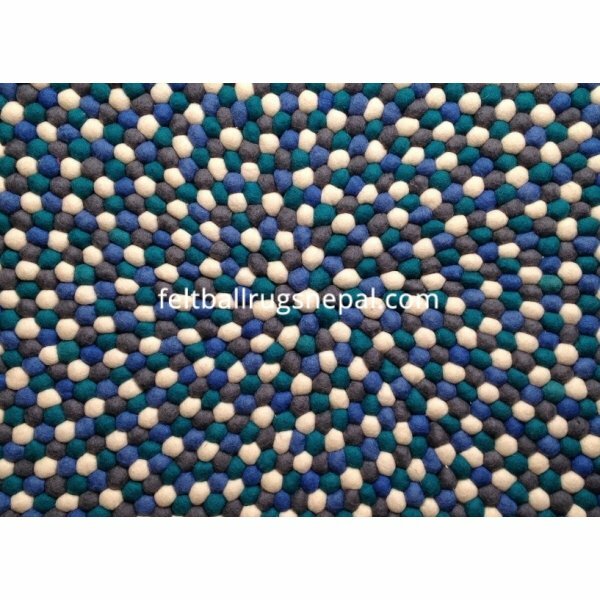 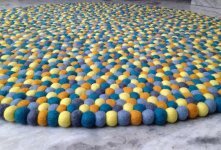 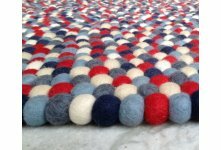 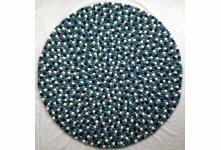 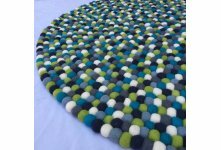 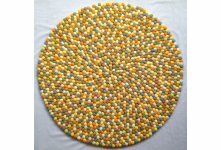 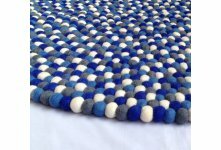 Marvelous Round Felt Ball Rug consists of four lovely colors: blue, turquoise,white and grey. 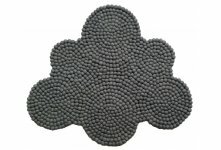 Fascinating, Elegant and Mesmerizing. 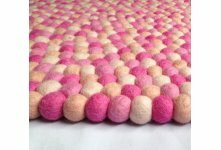 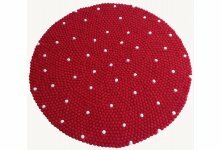 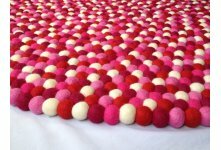 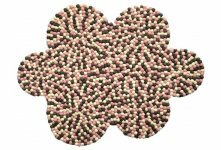 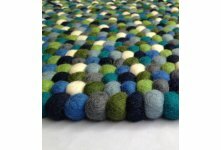 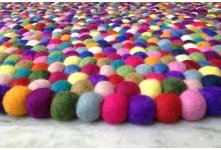 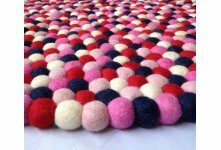 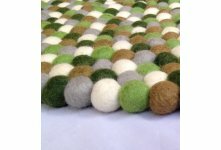 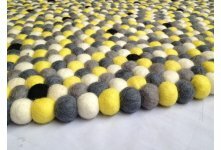 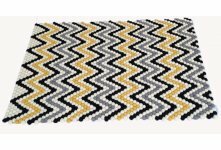 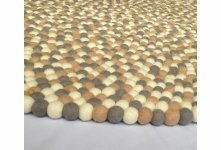 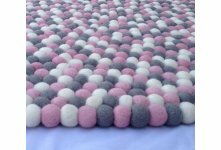 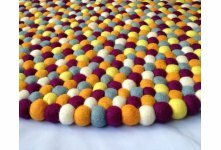 These three words describe this felt ball rug perfectly. 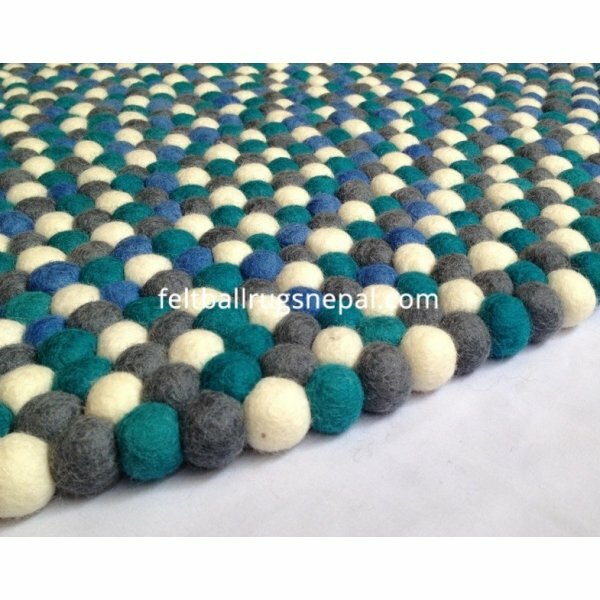 It is warm, durable and unique. 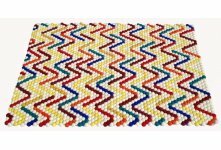 Handmade in Nepal by household marginal women and is stitched with the help of strong double-twisted nylon thread. 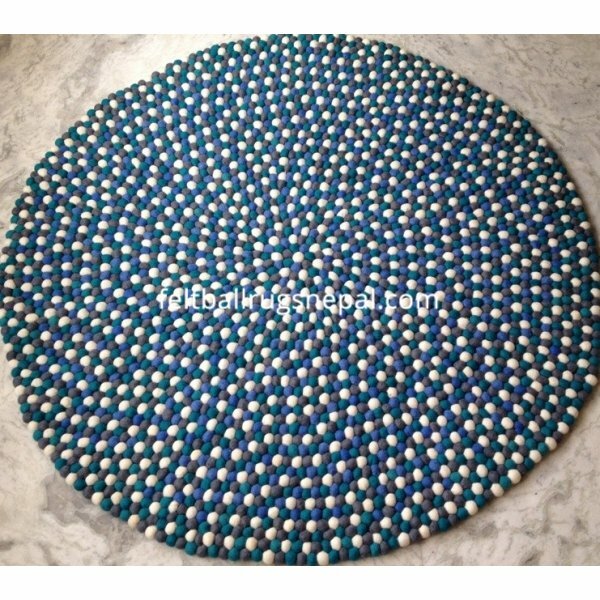 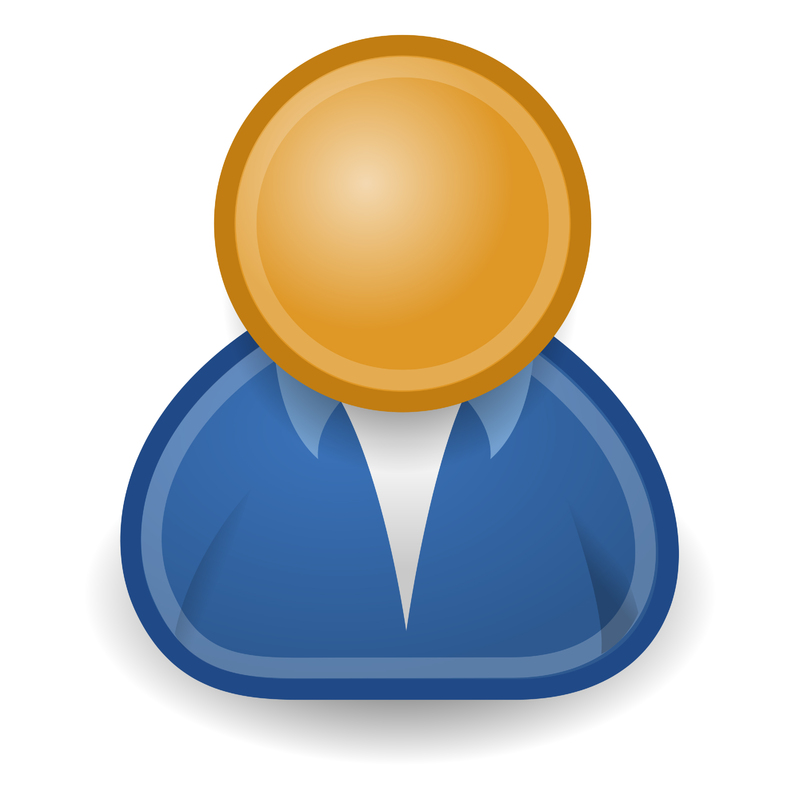 It is available in different sizes, designs and colors combination.